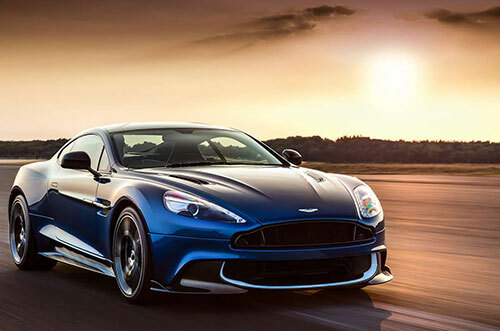 Aston Martin, the famous British automaker, decided to turn the 2018 Aston Martin Vanquish into the Vanquish S. Instead of continuing to focus all their energies on luxury details, they have adopted a stronger approach to be able to compete directly with high-performance cars like the Ferrari 812 Superfast. Take a look at the best 2018 sports cars. The reality is that the automaker is the first one to call the new 2018 Aston Martin Vanquish the “super grand touring” machine. 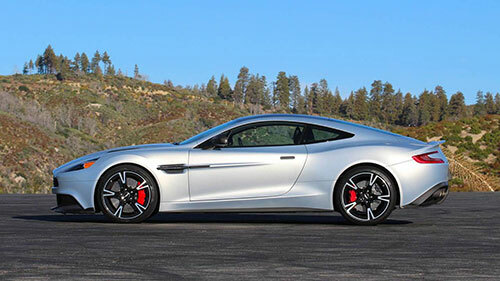 However, with a powerful V-12 engine combined with an incredible design, makes the 2018 Aston Martin Vanquish get a lot of fans. Let’s take a look at all the features of the 2018 Aston Martin Vanquish. The new 2018 Aston Martin Vanquish is already for sale at dealer showrooms. You know Aston Martin doesn’t make affordable cars.Nevertheless, you can buy this beauty starting at $295,000. The new 2018 Aston Martin Vanquish shares the same aluminum-intense last-generation platform with the DB9. However, in the case of the 2018 Aston Martin Vanquish, this high-end model uses some of the trunk structure as well as carbon fiber for the body panels. However, you need to know that despite it is using carbon-fiber, the 2018 Aston Martin Vanquish still seems a bit heavy when you are driving it. When you look at the new 2018 Aston Martin Vanquish, you see a lot of changes in the exterior. You will probably start by noticing the exposed carbon-fiber front splitter and rear diffuser. 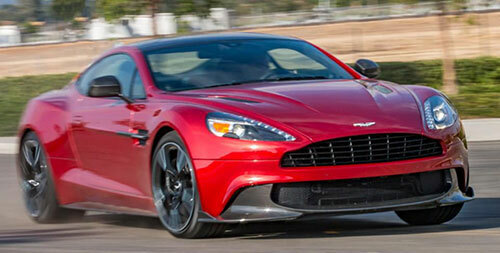 These give the 2018 Aston Martin Vanquish a more aggressive look and they were inspired by the Vulcan. Looking at the 2018 Aston Martin Vanquish back, you will get that muscle feeling due to the wide rear haunches. One of the best things about the 2018 Aston Martin Vanquish is that the engine suffered an upgrade as well. After all, they want to compete with the Ferrari. 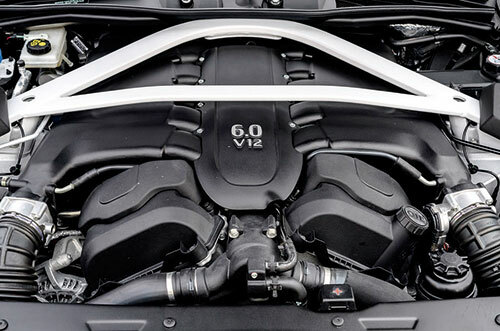 So, under the hood of the 2018 Aston Martin Vanquish, you will find a naturally-aspirated 6.0-liter V-12 engine that is capable of producing 580 of horsepower (it was 568 of horsepower). The torque, however, stays the same at 465 pounds per feet. In terms of the transmission, you can count with an 8-speed automatic gearbox that was also updated. You will notice how it now has better refinement at low speeds as well as it delivers faster shifts. As you are probably expecting, the 2018 Aston Martin Vanquish interior is full of luxury. However, this tends to be the reality for front seats and not so much for the rear seats. The 2018 Aston Martin Vanquish is a 2+2. However, the back seats should be better to take luggage than passengers because space can really become small. One of the things that we really like in the interior of the 2018 Aston Martin Vanquish is the waterfall dashboard cascades down right in the middle of the cabin. This detail becomes even more evident when you notice the crystal ignition button. Standard features that come with the 2018 Aston Martin Vanquish include power-adjustable heated front sport seats, automatic climate control, Alcantara headliner, leather upholstery. heated and power-folding exterior mirrors, memory for the front seats and exterior mirrors, power locks, and power windows. 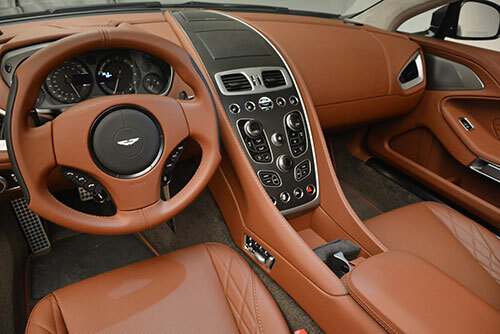 In terms of other equipment, you can expect to find the Aston Martin AMi III infotainment system with a 6.5 inches center screen, Bluetooth, Apple CarPlay, AM/FM radio, and a 1,000-watt Bang & Olufsen audio system with 13 speakers.